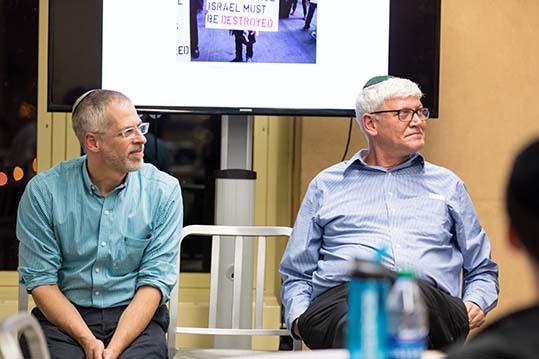 On November 8, Yeshiva University’s Center for Israel Studies presented two scholars in conversation about anti-Israel activities in the world of academia at its 2017 Joseph and Faye Glatt Program on Israel and the Rule of Law Lecture. Titled “Israel, BDS and Campus Life: A Discussion of the Complexities of Jewish Identity in the American Academy,” the event featured Connecticut College Professor of Philosophy Dr. Andrew Pessin and Fordham University Professor of History Dr. Daron Ben-Atar, who also examine the topic in their upcoming book, Anti-Zionism on Campus: The University, Free Speech, and BDS (University of Indiana Press, 2018). Pessin and Ben-Atar shared their experiences speaking up for Israel on campus and the consequences that ensued. 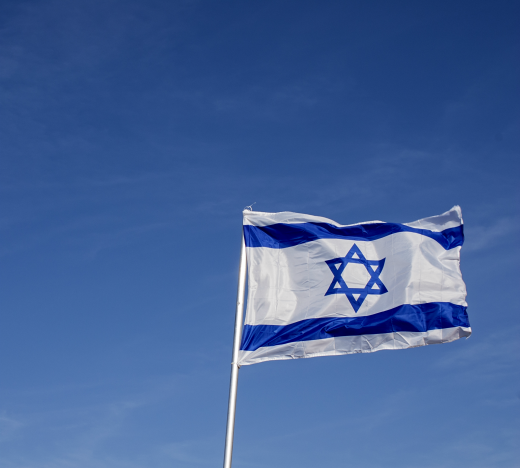 After a Facebook post was taken out of context by a student in his class, Pessin was accused of racism against Palestinians and condoning mass extermination. He was the target of several coordinated opinion pieces published in the Connecticut College student newspaper and the clash sparked an international controversy, including threats leveled at Pessin and his family.